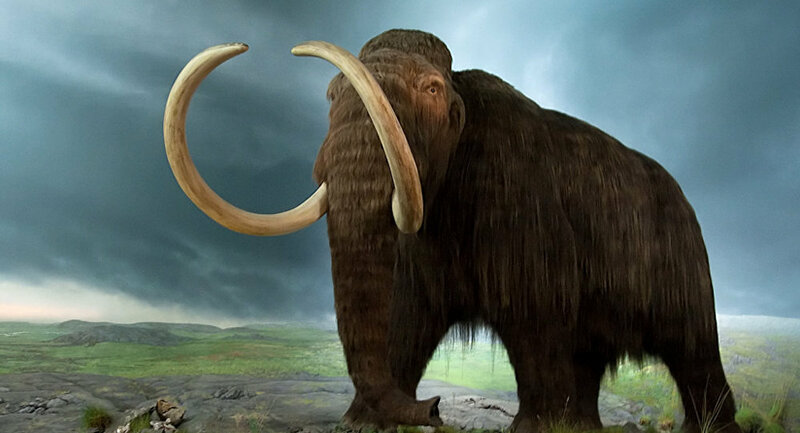 The Japanese-Russian team of scientists has revealed significant progress in their work to bring the woolly mammoths, which went extinct about 10,000 years ago, back to life. According to the German outlet Deutsche Welle, several samples extracted from the leg of a juvenile mammoth, “Yuka”, which was recovered in Siberia eight years ago, showed biological reactions necessary before cell division. Cell nuclei were recovered from an approximately 28,000-year-old creature and implanted in mouse cells. One member of the international team at Kindai University, Professor Kei Miyamoto, confirmed in an interview with the outlet that the cells were able to react and showed biological activity, despite having been frozen for thousands of years in permafrost. However, he also indicated that despite the highly promising development, none of the cells divided, which is essential for bringing back the extinct creatures, cautioning against imagining that the fantastic plot is coming true. "We are still many steps away from Jurassic Park. The technology to resurrect an extinct creature does not yet exist, although I will not deny that it probably will in the future. We just have to continue the research", he said. According to him, the scientists’ next goal is cell division, so they are studying the carcass of the mammoth in search for less damaged cells that can help the team to move to the next stage. The experts are looking for “relatives” of Yuka that might be preserved well enough to become material for future cloning. While it remains unclear whether the mission will be successful, the professor revealed that he aspires to prevent endangered animals from dying out, as he is studying the factors that influence how they disappear.